It’s a summer ritual. You pack your bags and head off on a trip looking for fun, excitement and, often, a chance to learn something. 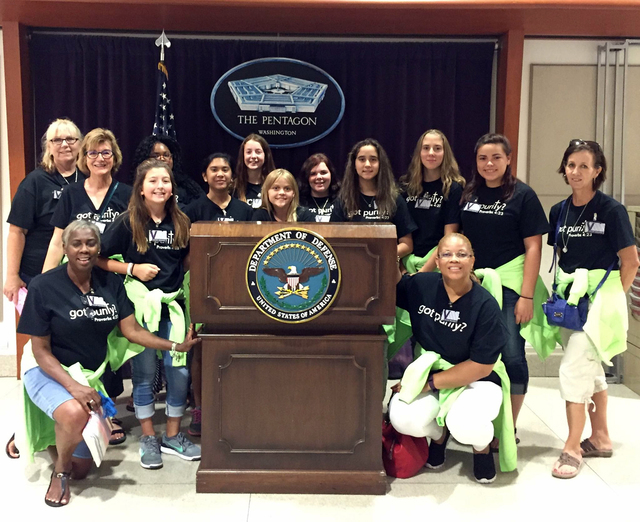 A group of girls from Boulder City who visited our nation’s capital recently was no exception. But they had an added mission: to help spread the message about Pride in Purity. “It’s about living a godly life, staying pure until marriage and helping out,” said 16-year-old Shantell Kickler said about the message of Pride in Purity. Denise Ashurst, founder of the nonprofit, said the trip to Washington, D.C., was an opportunity for the girls to learn about the political process because this is an election year. Fourteen girls from Boulder City and Henderson participated. The trip was one of two the ministry for girls usually offers each year. Destinations vary depending on current events and requests to help teach others about Pride in Purity, according to Ashurst. As with all of their excursions, each day’s activities began with a morning devotional and concluded with time for the girls to write in a journal about their experience. In between, they visited the city’s monuments, memorials and museums. Along the way the girls, who always wear their Pride in Purity T-shirts, happily answered questions about their organization and its message while handing out cards about the ministry. A highlight of the trip was a visit to the Pentagon and its memorial for those who gave their lives for the country, said Kickler, a sophomore-to-be at Boulder City High School. Harley Walker, 12, a seventh-grader at Garrett Middle School, said she was impressed by the Lincoln Memorial, though it was smaller in person than it appears to be in pictures. “It was huge,” Kickler contradicted. The two bantered and bickered like sisters, showing the strength of the bond that develops among the girls in the group. This was the second trip that Kickler and Walker were on. Both joined the group on a visit to New York last year, rattling off all they could remember about the trip. Part of each trip is sharing what they learned and experienced with others through presentations and a video showcasing highlights. “Each one tells what she liked the best about the trip or learned the most,” Ashurst said. Ashurst, a 20-year veteran of the United States Air Force and 10-year employee with the Department of Energy, was able to use her connections and friendships to offer the girls a unique look at the city and a chance to stay on Joint Base Andrews. In addition to the religious message of Pride in Purity, the organization teaches principles of self-reliance, entrepreneurship and compassion. The girls are not allowed to ask their parents or family members for money to pay for their trips. They must earn the money themselves. They hold fundraising events throughout the year such as bake and garage sales. Often they start small businesses selling crafts at the organization’s fall festival and spring block party. Community service also is a large part of Pride in Purity’s program. Walker, the daughter of Emily Walker of Boulder City, said her grandmother recommended she get involved with Pride in Purity after being in the middle of a great deal of “drama” at school. Kickler, the daughter of Lisa McQueary and Michael Kickler, said she learned about the group from a friend who had already graduated. Ashurst said the group is open to girls ages 9 and older. After a six-hour, three-session class, the girls graduate and become members of the group. 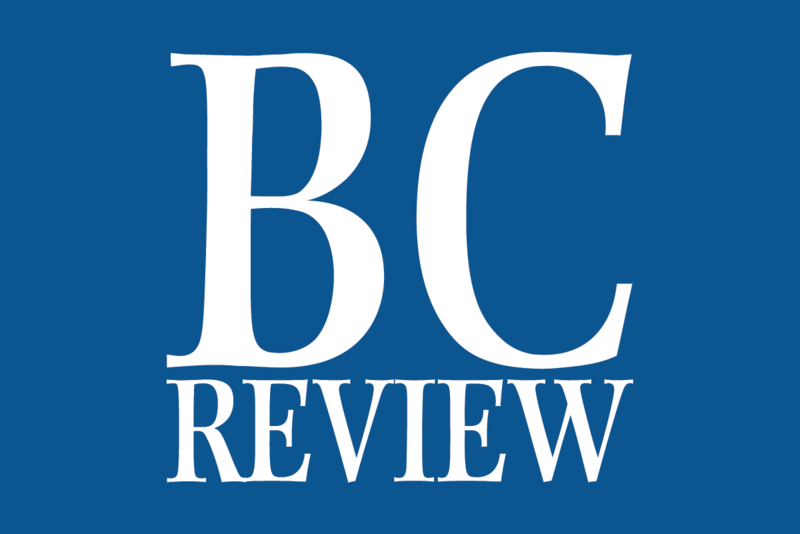 “There is a lesson in everything they do,” Ashurst said. A new class begins Sept. 12. For more information, visit prideinpurity.com or email prideinpurity@gmail.com.